I knew Nicola was my dream makeup artist when I saw her portfolio of gorgeous, natural, glowing complexions and her amazing signature natural brows! Nicola has amazing knowledge of makeup, hair and skin care. She gave me perfect loose glamorous waves which held throughout the day and flawless, natural makeup. 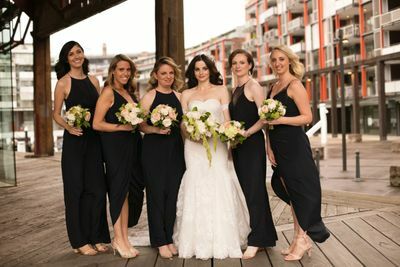 She really listened to me and she made me (and my bridal party) feel so comfortable and relaxed. 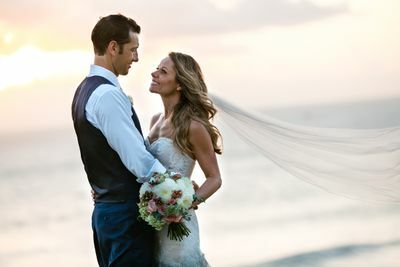 Thank you so much for making me look and feel so wonderful on my wedding day! Nicola was amazing. Right from the first contact I had with her, I trusted her completely. The Bridal Trial & the Wedding Day make up & hair was everything I dreamed of. She went above & beyond all my expectations for me & my bridal party. Words can not express how happy & grateful I was to have her as my make up artist. Thank you for making me feel & look like a Princess ready to marry my Prince! I knew I wanted Nicola to do my wedding make up from the first trial. She was so lovely, professional, listened to what I wanted and made me feel really comfortable. I got so many compliments on the day on my make-up and amazingly, it stayed on perfectly the whole day with no touch ups required. I am so happy I had Nicola doing my two makeup and hair looks for my wedding. Her professionalism and knowledge of skincare (not just make up!) made a huge difference to my very sensitive skin. 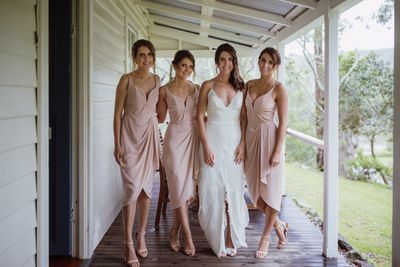 I absolutely loved both my looks - for the ceremony Nicola created a natural look that made me feel comfortable and like myself. Then we changed my hair and make up for a more dramatic style for the reception. Throughout the whole process, Nicola was calm and professional, which made everything run smoothly throughout the long day. I have recommended her to many of my friends already, and I will keep recommending her! Nicola is a great friend of mine, we trained as Makeup Artists together in London, there was no question that she would have to fly over and be my makeup artist for my big day. I went for a deep golden smokey eye & highlighted skin, Nicola had to pull all the tricks out the bag to create long lasting makeup as it was extremely hot in Ibiza. My makeup lasted all day & night. 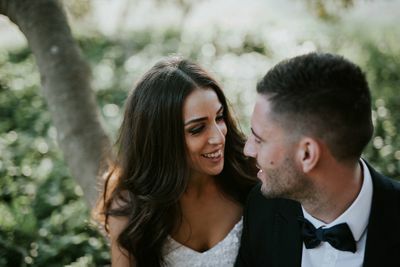 As a makeup artist myself i have very high standards with my own makeup so the pressure was on and Nicola Nailed it, I absolutely loved my makeup on the day! I felt incredible! As a professional Makeup Artist myself I had always envisioned I would do my own Hair & Makeup on my wedding day. Having worked with Nicola on a shoot I saw her work and I booked her then & there. I'm a total perfectionist when it comes to my own work as an artist & Nicola has the same keen eye for detail. I absolutely loved my look on the day. My skin was flawless, Nicola used a super light foundation which lasted all day. Nicola also attended my wedding so I was very lucky to have her on hand for a cheeky touch up later in the evening! Nicola Johnson flew to Bali to do my hair and makeup for my wedding. It’s so important for brides to feel special on their wedding day and considering I had barely slept the night before and had massive bags under my eyes when I woke up, she made me feel like a million dollars. She’s extremely patient, has a great sense of humour and ensures that you feel relaxed on the day, not to mention how talented she is. 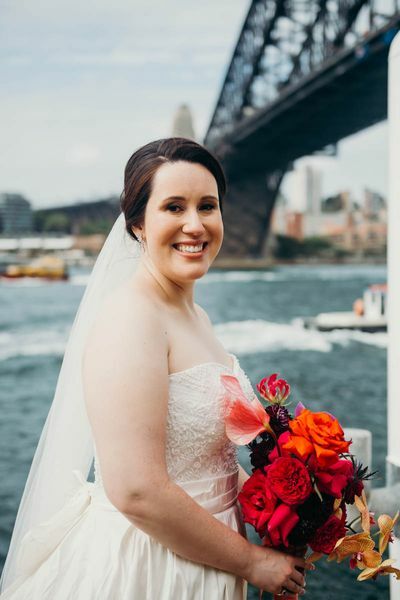 I received many compliments about my hair and makeup from our guests and also from friends looking at photos on social media, so if you want to guarantee that you’re 100% happy with how you look, book Nicola! I was so happy to have Nicola do the makeup for my wedding this year. She listened to exactly what I was after and everyone looked beautiful while still looking natural. Every time I've had my makeup done in the past, it's always looked too "caked on" but with Nicola, it was perfect. Would highly recommend Nicola for any future brides! "After having my makeup artist cancel on me only a few months out, Nicola was a godsend. She was professional, warm and so incredibly helpful with looks and colour palettes. It's not every day you get to look like a mermaid fairy goddess!" Thanks again for being so amazing.